Nurses who dedicated 50 years to keeping the name of their hospital alive have made a final donation to Hull University Teaching Hospitals NHS Trust NHS trust. The Western General Hospital League has raised more than £24,000 for Hull charities since it was formed in protest at the decision to name the new £4m tower block Hull Royal Infirmary in 1967. Determined to keep the Western General in the public consciousness, the league held two business meetings, a social event and an outing every year, raising funds for charity. 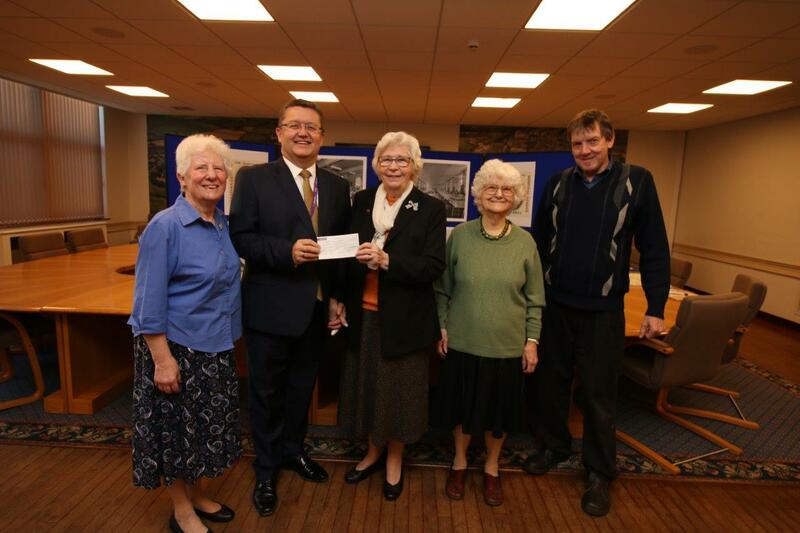 Now, 50 years after its formation, the organisation, hit by dwindling membership in recent years, handed over its final cheque for £273.18 to support the trust’s archive of old photographs, documents and artefacts. Committee members Marianne Clayton, Olga Spavin and Jennifer Miles, who all worked at the Western General in the 50s and 60s, met trust chief nurse Mike Wright and Mike Pearson, who manages the trust archive, at Alderson House. Mrs Clayton, known as Sister Tansey when she worked at Western General from 1952 to 1967, trained student nurses from 1966 to 1980 and nursed until retiring in 1990, said the league had achieved its aims. Originally named the Western General Hospital Nurses League, the organisation was renamed the Western General Hospital League in 1970 following requests from medical, clerical, managerial, ancillary and support staff to join. Over the decades, the league raised money for a variety of organisations, from £160 for Frederick Holmes School in 1982 to £1,100 for a cot in the trust’s neonatal unit at Hull Women and Children’s Hospital in 2009. At its height, it had 148 members but numbers fell to 48 in recent years, with just 20 active members well enough to attend events. Falling attendance meant the difficult decision was taken to disband the organisation. The league held its final meeting in the trust’s board room at Alderson House, attended by Mr Wright and Mr Pearson, in June. Mr Wright said: “We owe a debt of gratitude to the former staff of the Western General, not just for their very generous donations to organisations over the years but for their care of so many people over the years.